Chronic pain is under-recognized and under-treated.It affects people of all ages. In Canada, one in five people suffer daily from chronic pain. It is a ‘silent epidemic’. 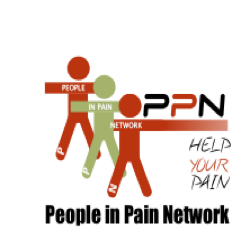 Pain BC is a non-profit organization formed in 2008. We are made up of patients, health care providers, and leaders from academia, members of relevant non-governmental organizations and others. We have a shared passion for reducing the burden of pain and for making positive change in the health care system in British Columbia. To learn more about us and our critical areas for action, we invite you to read our Strategic Plan. If you’d like to be part of reducing the burden of pain in BC, get involved. As experts in their own lives, we believe that patients can provide health systemdecision makers with important information about how to best serve them and involve them as partners in their own care. For over 35 years, Disability Alliance BC (formerly BC Coalition of People with Disabilities) has been a provincial, cross-disability voice in British Columbia.